One of the first practices worldwide to offer the ARTAS iX system utilizing advanced artificial intelligence. 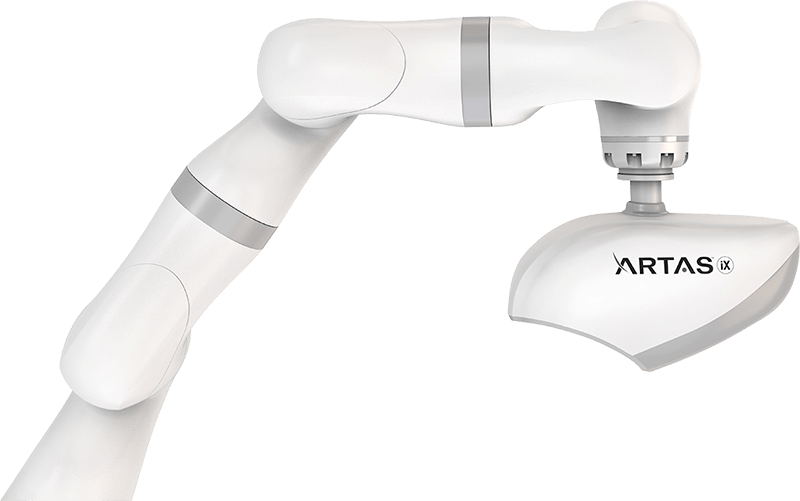 One of the first practices worldwide to offer the ARTAS iX Robotic System utilizing advanced artificial intelligence. Welcome to our boutique hair restoration practice located in New York City. 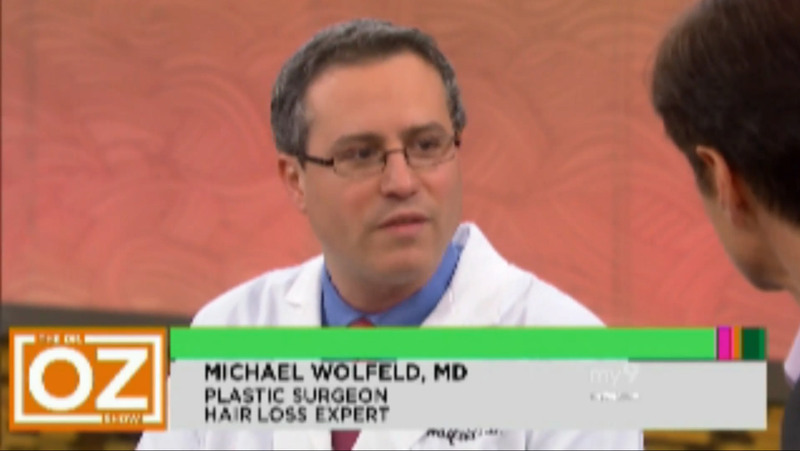 Dr. Michael Wolfeld is widely regarded as an expert in treating hair loss in both men and women utilizing all medical, surgical, and cosmetic options. 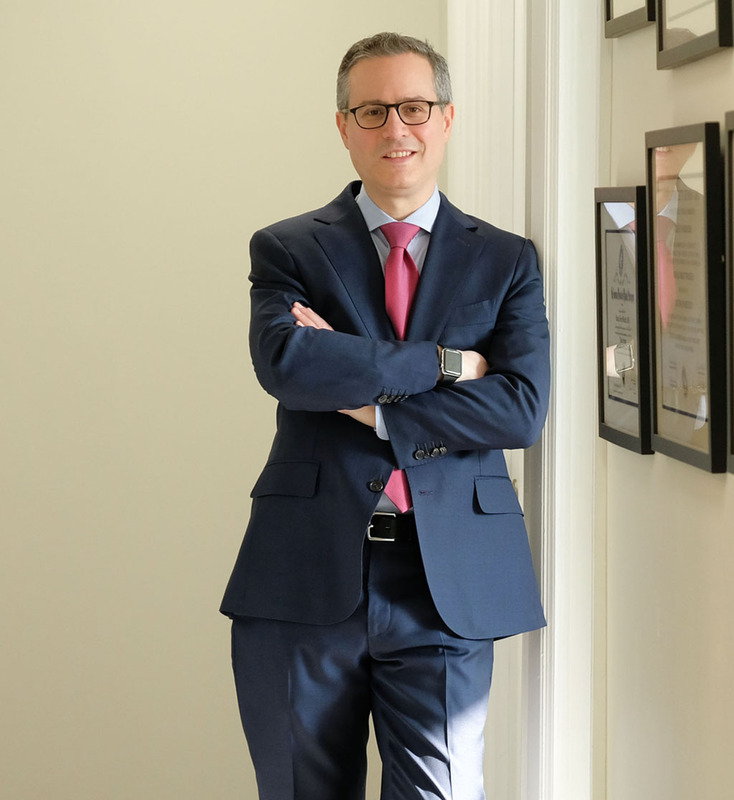 Dr. Wolfeld’s unique expertise comes from having been an associate at Bernstein Medical, training under and then working with Dr. Robert Bernstein from 2013-2018, and being the only physician in the United States board certified in both plastic surgery and hair restoration. Dr. Wolfeld has been a co-author on five medical publications specifically in the field of robotic hair transplantation. Currently, Wolfeld Hair is one of the first practices worldwide to offer robotic hair transplantation utilizing the ARTAS iX system. Dr. Wolfeld brings his experience, artistry, and extraordinary attention to detail with each individual patient. His bedside manner, lengthy detailed consultations, ethical decisions, and operative results are the reasons that his patients repeatedly refer him to their family and friends. Dr. Wolfeld has an extensive aesthetic background, who now focuses his aesthetic practice strictly upon treating men and women suffering from hair loss. With the ARTAS system, hair restoration design can be created to enhance your unique facial features and hairline. The digital information is stored and transferred to the robotic system so the exact design you want is produced – a groundbreaking advance in accuracy and precision in hair restoration technology. To achieve the ultimate in precision in hair restoration, the ARTAS system uses a “site making” technology to select the optimum location from in which to implant healthy hair follicles, including type of follicle, angle, and location. The ARTAS site making capabilities are above and beyond what the most talented physician could accomplish. The physician-assisted robotic system for hair follicle harvest has the benefit of protecting the remaining hair follicles in the donor area, so the harvesting process leaves the area looking natural, intact, and completely undetectable by eye, with no scarring and no horizontal scar. The digital design created with the ARTAS Studio is transferred digitally, so the most attractive, natural look can be achieved supported by advanced artificial intelligence. The accuracy and precision the system achieves when implanting healthy follicles into a thinning or balding area includes critical characteristics such as angle, thickness, and hair type. The results achieved with the ARTAS system are truly remarkable – utterly natural in appearance. "Dr. Michael E. Wolfeld is one of those rare doctors who are not just medically brilliant but personable and respectful to their patients..."
A beautiful, thick head of hair is a physical asset – but many women struggle with thinning hair and need help that produces real results. If you have thinning hair, the first step is to meet with Dr. Wolfeld, the premier specialist for hair restoration in Westchester and its surrounding areas of New York, to find out why and what can be done to bring back a thicker, healthier, head of hair. If your hair lacks volume, lift, and strength, we offer hair restoration techniques to restore or enhance natural hair volume – our patients tell us that having thicker, healthier hair has done wonders for their feelings of confidence. Dr. Michael Wolfeld is the nation’s only hair restoration expert who is Board-certified in both plastic surgery and hair restoration. He focuses his boutique practice upon creating the most aesthetic, natural-looking result, with a wide range of treatments. With a strong background as an aesthetic plastic surgeon, he has developed a high level of artistry in hair restoration. His hair restoration clinic in New York was established to provide the most advanced treatments available in the world, including the ARTAS system – a revolutionary robotic system. Dr. Wolfeld’s approach is completely customized to the individual patient. Each patient has a unique hair loss situation. Beyond his wide range of advanced hair restoration techniques, you can expect his full attention, and exceptional artistry for a natural-looking outcome for a receding hairline, balding areas, the early signs of hair loss, or thinning hair. FUE, or follicular unit extraction, is a healthy hair restoration technique. The hair follicles are harvested from the back of the head where they are not genetically programmed for balding, and then implanted to fill in a balding or thinning area. This is one of the best techniques in hair transplants NYC has available to its patients. FUT, follicular unit transplantation, or “strip method” is a traditional method of hair restoration, in which a strip of scalp is removed from the back of the head and the healthy hair follicles then harvested from the strip and implanted to restore hair. In some cases of more extreme balding, this is the appropriate treatment. Many patients have undergone an earlier hair restoration treatment and are unhappy with the look of a horizontal scar. Dr. Wolfeld has developed advanced techniques for scar repair to help those who want to reduce the appearance of an unsightly scar. With modern hair restoration techniques, the issue of scarring is managed as part of our hair restoration process, with regenerative treatments such as PRP to promote healthy healing, or laser scar removal for more serious cases. It is now possible to restore the eyebrows to a thicker, lusher appearance with advanced hair restoration technology. Dr. Wolfeld is a consummate professional in hair restoration, and exceptionally meticulous in choosing the correct type of hair, direction, and quantity transplanted to produce beautiful brows. Part of achieving a full transition is having the facial hair that reflects your true self. If you are making the transition and want a full beard, moustache, sideburns, or other masculine hair patterns, Dr. Wolfeld can help. PRP, or “platelet rich plasma” is a natural product extracted from your own blood. When injected into the scalp, it helps keep your hair follicles healthy and producing – a perfect regenerative treatment for the early signs of balding. PRP hair restoration treatments can be very effective in supporting hair transplantation, so a higher percentage of transplanted hair follicles settle and flourish in the new location. Hair shedding is natural, at about 80 hairs per day. Extreme hair shedding is different situation that requires treatment to bring to a halt. If you are noticing you are losing many, many hairs, far more than normally, it is important that you get your condition diagnosed and treated before you are left with thinning hair or balding areas. Shedding can be the result of medications, stress, or a range of other factors – you need to find out why, and Dr. Wolfeld can help. Male hair loss, or “male pattern baldness” comes about as a result of genetics – but do you have to live with it? The truth is, with modern hair restoration techniques, Dr. Wolfeld will help you outsmart nature and retain a healthy head of hair for the long term. Some other factors may be causing your hair loss – the first step is a professional diagnosis from Dr. Wolfeld. Women can struggle with thinning or balding hair after pregnancy, as the result of a physical disorder or condition, or skin conditions. The first step is to correctly diagnose the source of hair loss and craft a treatment that produces results you can see and feel. Other causes of hair loss. Not all cases of hair loss are genetic. Many people struggle with thinning or balding areas for other reasons, including side effects of certain medications, stress, hormonal changes, iron deficiency, vitamin deficiencies, dramatic weight loss, or age.